Ellison Bronze, Inc. invented the balanced door in 1927. Today, Ellison doors can be found at marquee entrances to the world's most famous addresses. "It's the door you can open with one finger." This Ellison ad slogan from the 1930's stands true to its sentiment today. More than 80 years later, many of the Ellison balanced doors from the era also stand true to their quality. Since the very beginning, quality control has remained paramount at Ellison. Any attempt to compromise Ellison quality has always been, and will continue to be, squarely rejected. That’s why Ellison doors – including all balance hardware mechanisms – are cast, crafted, formed and uniquely constructed in-house in our ISO 9001-certified facility. They are made from only the finest choice of materials, including bronze, stainless, wood, glass, and aluminum. This staunch commitment to the highest achievable quality also extends to Ellison employees. Our seasoned and talented designers, metalworkers, artisans, and technicians take enormous pride in their work at Ellison and accept nothing less than perfection for our clients. Ellison sales professionals are also considered the industry’s best, readily providing clients with helpful consultation in technical details, design, and code compliance for any projects located around the world. When an Ellison door is shipped from our facility to be installed, we remain committed to that door. We do this through an industry-best 10-year comprehensive balance door system warranty. More importantly, we commit to supporting any maintenance requirements for an Ellison door, no matter how long ago it was made. Ellison door owners are frequently surprised to learn that we maintain complete records on each and every door we’ve ever created, including designs and all casting moulds. A superior door design in every way with an unparalleled commitment to quality, an Ellison balanced door is truly an investment that lasts a lifetime – or more. 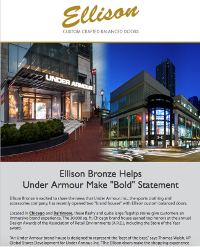 To learn more about Ellison Bronze, please visit our News section and download our company backgrounder. In 1927, Edward Ellison, an imaginative engineer from Jamestown, New York, and his brother Oliver, a skilled tool designer with a profound understanding of metallurgy, recognized a need for a better door design. With the advent of taller and more tightly compressed buildings, there arose a need for a door that could more easily overcome external wind pressure and internal stack pressure. Combining their unique skills, the brothers invented the balanced door – an ingenius design that not only solved the pressure issues, but amazed users with its minimal opening force requirements, its reduced leaf projection and its complete elimination of lateral stress. The design allows for even the largest and heaviest doors, made of the finest materials, to operate smoothly against harsh outdoor conditions. 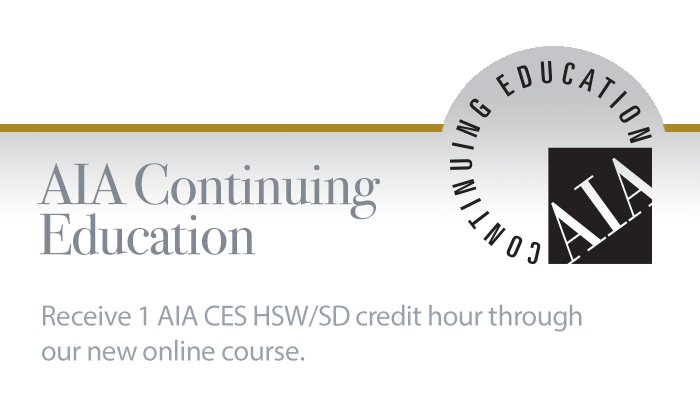 The architectural community embraced the concept, and the first Ellison balanced door was manufactured and sold in 1932. Ellison is the standard to which all other commercial entry doors are compared the world over. For more than 80 years, our skilled craftsmen have used the highest quality materials to produce stunning doors that will last a lifetime. Ellison's unique doors are tailored to meet individual specifier needs, and are available in a variety of materials and finishes. Consisting of a leaf, frame, and balanced hardware, every aspect of an Ellison door works in harmony to facilitate the optimal user experience.